The Siachen glacier is cradled in the eastern Karakoram Range of the Himalayas at an average altitude of 18,000 ft above sea level. The most difficult task at such a height is -- to survive. Bone-chilling winds coupled and with an unforgiving sun make it a hellish place to stay. The thin air and sub-zero temperatures are said to even induce acute depression. And yes... shouting in this area could trigger an avalanche. One cannot help but imagine how hard the twin-battle must be for the Indian soldiers manning the hostile peak. The recent tragedy at the glacier has raised these questions: Is Saichen worth the lives India is risking and is it justifying the huge amount of resources being spent to keep it under control? Was it India's helplessness that was coming across when Manohar Parrikar remarked that he was sad over the tragic deaths but the decision to deploy troops in the 'world's highest battlefield' was based on security needs, despite the hostile conditions there? Why can't India let it go? In his book Strategic Importance of Siachen, Maj Gen Sheru Thapliyal writes, "This (Siachen) bleeding ulcer has cost us nearly 20,000 casualties in over twenty years and an estimated daily expenditure of two crores." 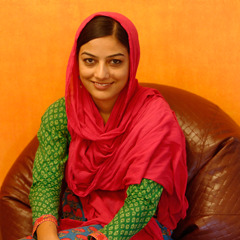 Both India and Pakistan have lost their men primarily due to frostbite, avalanches, and other complications. The conflict in Siachen arises from the incompletely demarcated territory on the map of this region. Post the Indo-Pakistan war in 1971, an agreement was signed between the two countries in 1972, which came to be known as the Shimla Agreement, but it failed to clearly mention who controlled the glacier. Siachen sits at a very strategic location with Pakistan on the left and China on the right. So Pakistan re-interpreted it as North-Eastwards to claim the area beyond the Saltoro Ridge and beyond Siachen as its own. This would give Pakistan direct connectivity to China as well as a strategic oversight over the Ladakh region and on to the crucial Leh-Srinagar highway posing a serious threat to India. When UN officials presumed there would be no dispute between India and Pakistan over such a cold and deserted region, they were wrong. The tussle ignited with Pakistan sending expeditions to the glacier in 1970s and early 1980s, which reportedly were intended to claim the area. All this was done under the permits of the Government of Pakistan. 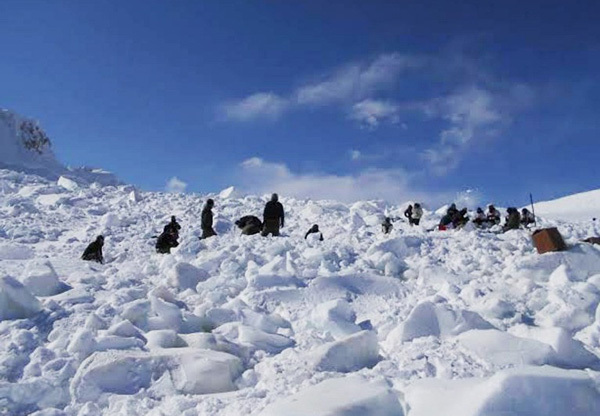 In this handout photograph released by the Indian Defence Ministry on February 8, 2016, Indian army personnel search for survivors after a deadly avalanche on the Siachen glacier. An Indian soldier rescued nearly a week after he was buried by a deadly avalanche on the world's highest battleground was Tuesday airlifted to Delhi in critical but stable condition, the army said. General D. S. Hooda, who heads the Indian Army's northern command, called it a "miracle" as he described the huge challenges faced by the rescue team, operating at an altitude of 5,900 metres (19,600 feet).Photo: AFP/ Indian Defence Ministry. 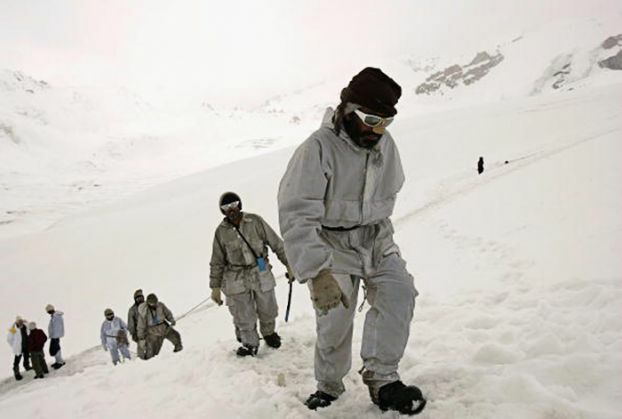 Alerted by Pakistan's intentions, in 1984 India launched a successful military operation and has since maintained control over all of Siachen Glacier and its tributaries. The period between 1984 and 1999 was marked by stand offs. But reports suggest that so far, more soldiers have lost their lives to the hostile weather in the region than to the firing. Considering the risks, both the countries have tried to sort out the Siachen and Sir Creek issues through demilitarisation but the talks have fallen into a limbo. Suggestions of truce include a peace park, joint patrolling of the region, and an international peacekeeping force being deployed in the region. In December 2015, Indian Union Minister of State for Defence Rao Inderjit Singh had said in a written reply in the Lok Sabha that a total of 869 Army personnel have lost their lives on the Siachen glacier due to climatic conditions and environmental and other factors till date since the Army launched Operation Meghdoot in 1984. Official figures for maintaining these outposts are put at $300 and $200 million for India and Pakistan, respectively. Aside from the Indian and Pakistani military presence, the glacier region is unpopulated. Together, the countries have about 150 manned outposts along the glacier, with some 3,000 troops each. Siachen Glacier also boasts of the world's highest helipad built by India at Point Sonam, 21,000 ft (6,400 m) above the sea level, to supply its troops. India also installed the world's highest telephone booth on the glacier.